We are located a few blocks southeast of the Hancock Building in the Streeterville neighborhood. You can get specific driving directions from your address to the school by using Google Maps. The Hyatt hotel located at 633 North St. Claire Avenue Chicago, IL 60611., at the corner of St. Claire Ave. and Erie Street. The self park garage is one block north of the hotel between Huron and Superior Streets. The hotel and the parking garage (P), as well as the school buildings are indicated on the Chicago Campus Map. From outside Chicago, whichever direction you come, you will probably end up on highway 90/94. 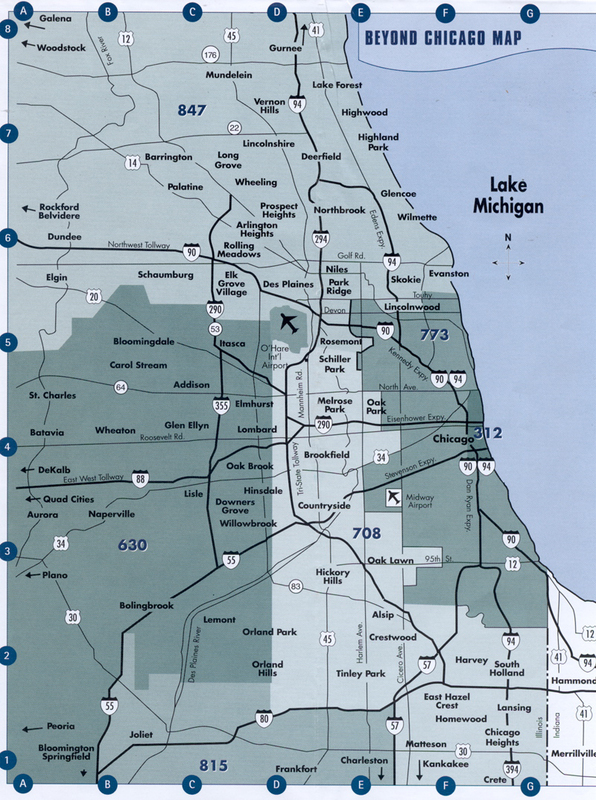 See the Regional Chicago map for main highways leading into 90/94. Exit at Ohio Street and follow this one way street headed East. You will cross the river, go under the elevated train tracks, and proceed several more blocks east. At Michigan Avenue, turn left, and go 4 blocks north to Superior St. Turn right on Superior, go past the stop sign at the first block (St. Clair St), and look for an entrance to the self park garage on the right about halfway up the block. You will see the new Children's Hospital on your left. From Superior Street, enter the parking garage at the SELF PARK sign and follow the signs for parking. Take a ticket at the gate, and park wherever you can above level one. Take the elevators down to HURON Street. Please refer to the Chicago Campus map to see where you are. You need to head south on St. Claire one block where you will find the Hyatt Hotel at the corner of St. Claire Ave and Erie St.
From Michigan Avenue, turn east onto Superior Street, go past the stop sign at the first block (St. Clair St), and look for an entrance to the self park garage on the right about halfway up the block. You will see the new Children's Hospital on your left. On Friday, at the school, we will provide you with parking garage voucher tickets that will pay for you as you exit. We will provide one sticker for every 24 hour period. The DGP will reimburse driving expenses by mileage. Please keep track of your miles, and keep any receipts for tolls. Connect with our program. Email program assistant Judy Brown, or call 312-503-1889.